Union Budget 2018 strikes a proper balance between a populist and pragmatic budget. Huge emphasis has been laid on overall socio-economic welfare through promoting farm sector with a clear vision to double farm income by 2022, providing healthcare facilities for weaker section of the society and women empowerment-centric steps such as lower PF and free gas connection. India has already witnessed a massive digital revolution in near past. The budget provides a focused aim towards growing the promising rural economy and extending digitalization to rural citizens which can yield great results in the form of increased household rural consumption, thereby providing internet-driven businesses with a great potential market opportunity to tap. Increasing allocation for digital India and the overall strong thrust on digitalization is a welcome step. Initiatives such as High-speed connectivity and Wi-Fi access to 5 crore rural citizens and tax disallowance on cash expenditures above Rs.10,000 for all entities now also give the digital movement a great push and will benefit internet businesses. However, some more direct incentives for promoting digital ecosystem in form of lower MDR or cashbacks would have been welcomed by online platforms as well as merchants. The move to levy 10% LTCG is commendable in the larger interest of the Economy and Fiscal situation. Another significant change proposed in the budget is inclusion of ’Significant Economic Presence’ in the definition of ‘Business Connection’ whereby even digital presence of Non-resident enterprises in India through digital platforms shall be construed to be taxable presence irrespective of whether or not the non-resident has a place of business in India or render services in India. This provision will bring about paragon shifts in nexus rules under DTAA. The benefit intended to be provided to salaried taxpayers in the form of 40k standard deduction is largely offset by withdrawing the Transport allowance and Medical reimbursement, thereby limiting the positive impact. There is also positive news for start-up ecosystem as the benefit of dedication u/s 80-IAC is extended to start-ups incorporated even after 1st Apr 2019 but before 1st Apr 2021.
from MAT for companies admitted under Insolvency Resolution Process. With 99% of corporates now being covered under the reduced corporate tax rate of 25%, the Finance Minister has substantially lived to the commitment of rationalizing corporate tax made in 2015. At the Macro level, the Economy has shown signs of growth by posting GDP growth @ 7.2% – 7.5% in H2 of FY18 but the fiscal deficit at 3.5% for FY18 is a concern area as against the previous estimate of 3.2%. Even the guidance for FY19 at 3.3% invokes apprehension and will require astute planning &amp; administration to ensure the actual deficit is below this projection as the strong direct tax collections shall continue to aid this objective. 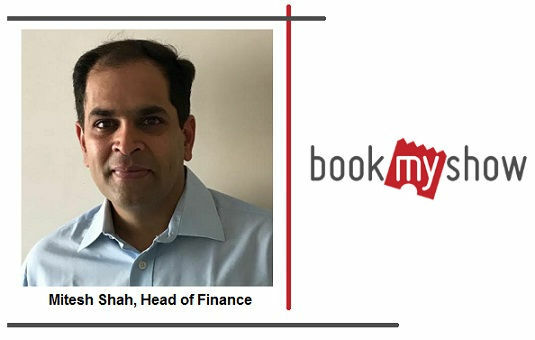 Mitesh Shah, Head of Finance, BookMyShow said, “The Union Budget 2018 is both populist as well as pragmatic. It focuses on growing the promising rural economy and extending digitalization to rural citizens which can yield great results in the form of increased household rural consumption, and thereby providing internet-driven businesses with a great potential market opportunity to tap. Increasing allocation for digital India and the overall strong thrust on digitalization is a welcome step. Initiatives such as High-speed connectivity and Wi-Fi access to 5 Cr rural citizens and tax disallowance on cash expenditures above Rs. 10,000 for all entities now also give digital movement a great push and will benefit internet businesses. However, some more direct incentives for promoting digital ecosystem in form of lower MDR or cashbacks would have been welcomed by online platforms as well as merchants.